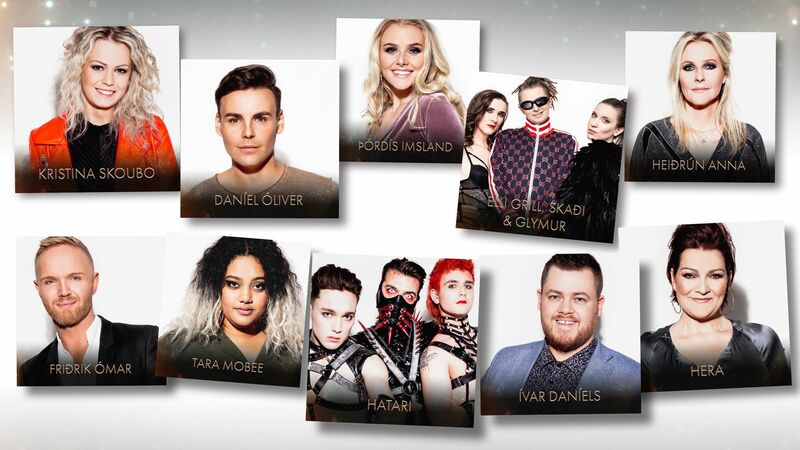 Hungary – A Dal, the Hungarian selection show, resumes tonight with 9 artists performing in the first semi-final, hoping to progress through to the semi-final stage. Freddie (Hungary, 2016) will host. Jury members are Bogi Dallos, Miklós, Misi Mező, Lilla Vincze and Feró Nagy. The rules from the former years apply. The nine acts will present live their respective song and the jury members will comment and grade them. A fifth grade from online apps will be added. The Top 3 from these grades qualify straight away to the semifinals. A fourth act is saved by 100% televote as a wildcard. Three heats, 18 semifinalists split in two sets of 9 and then 8 finalists at the very end of this long national final that’s now a classic of esc season! Watch Semi 1 live here from 19:30 (CET). Sweden – It’s the most anticipated National Final within the Eurovision Fandom and it resumes tonight with their second of the four semi finals. Melodifestivalen is finally here! Seven Acts will take to the stage at the Malmö Arena in Malmö and will compete for the chance to make the grand final on March 10th. The top two will reach the grand final and the acts that come third and fourth will proceed onto the Second Chance round. This week we see the return of Andreas Johnson (3rd in MF 2006 and 2nd in MF 2007 among other participations), Oscar Enestad (former FO&O who did MF in 2017), Liamoo (MF 2018) and Margaret (MF 2018). It’s 100% televote tonight. The first round eliminates the bottom 2 entries. The second round sees 5 entries battling for the four qualifying places, two “direkt til finalen” and two to “andra chasen”. How much do we learn Swedish in MF, really? The show starts at 20:00 (CET) and can be watched here. Lithuania – This is week 5 of the impossible to follow Lithuanian National Final. So after 4 heats that presented the songs, tonight we start the semi-finals. There will be two semi-finals of 12 songs. All of tonight’s entries have already performed before, with the juries having voted during that performance. The show will be broadcasted on LRT tonight at 20:00 (CET) and can be watched here. Italy – Italian broadcaster, RAI, will conclude the annual San Remo festival which historically chooses Italy’s Eurovision entry. This is the last of the 5 nights (with no semi-finals this year). 24 entries will be presented for the last time. The winner is likely to be sent to Tel Aviv! So there are 22 artists joined by the 2 “young” category winners, Einar and Mahmood. A few new comers join some long-time returnees like Loredana and Paola! A lot of songs are already available online, on the artists’ official youtube page for instance. You can check more information on the artists on Rai’s official site. There will be four nights during the week, with all artists presenting their songs, and the final will be this Saturday, to join the fun of a second Super Saturday! That’s when we’ll know who wins San Remo 2019. Recently, the winner was asked to go to Eurovision and it’s now considered an actual national final, even if it’s a much older contest with its own history separate from the European contest. Iceland – RÚV, the national broadcaster, is launching Söngvakeppnin 2019, the national final, tonight. The first semi-final will feature 5 songs competing for 2 tickets to the final, to take place on March 2. You can still listen to the songs here. The hosts tonight will be Fannar Sveinsson and Benedikt Valsson. This is a smaller format than usual, with only 10 qualified to Söngvakeppnin 2019. After a few changes were announced, the semi-finals will now feature 5 songs which will all be performed live. 2 of them will go through to the final (50% jury and 50% televote). However, the jury can save with a wild card a 5th finalist. The show starts at 20:45 CET and can be watched here. Australia – The very first national selection by Australia takes place tomorrow morning. 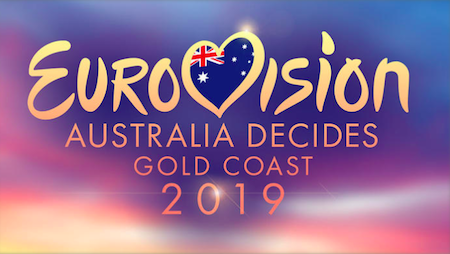 The You Decide selection show will be broadcast from the the Gold Coast to pick their entrant. The show will be hosted by Myf Warhurst, and comedian Joel Creasey. The show starts at 10:30 CET and can be watched here, but also on Twitter or YouTube. Montenegro – Broadcaster RTCG is running a national selection of 5 again this year, Montevizija 2019. The final will be held tonight at the Hilton Podgorica hotel. There will be two round of votes, with a Superfinal between the Top 2. In the second round, with only the two best from the first round, it’s 100% televoting that makes the final decision. The show starts at 21:00 CET and can be watched here. Ukraine – UA:PBC, the broadcaster in charge of Ukraine’s participation in Eurovision 2019, will launch its national final, Vidbir 2019, tonight. There will be two semi-finals of 8 artists with only 3 tickets for the grand final! The decision is 50% jury (Jamala, Verka & Yevhen Filatov) and 50% televote, who often disagree in Ukraine! The show starts at 18:00 CET and can be watched here. ← UK: It’s Michael Rice to Tel Aviv! Anyone know if there’s any truth in the rumour of Margaret now representing Poland in 2019? I don’t think so, the EBU want to appeal to a wider mainstream audience. In 2018 juries had Israel 3rd and Cyprus 5th. Definitely still underrated but high enough for them to take their rightful place as the top 2 after the televote. Heck in 2018 they even had Moldova in the top 10! Well, how to put it mildly. Margaret has the stage charisma of an ant? You can’t compare her to Eleni or Netta. She can’t move, she lacks star quality and stage awareness. And in Junior Eurovision juries put Poland 7th out of 20, which is roughly equivalent to 9th out of 26, and the public vote was still big enough to push them to the top with a far inferior song to some of the others. It’s equally weighted 50/50. The number of countries is relevant. 42 jury votes are offset by 42 televotes. Should have said 18% in the 5 country example. Very good show and production values, Ukraine! Kudos, once again!